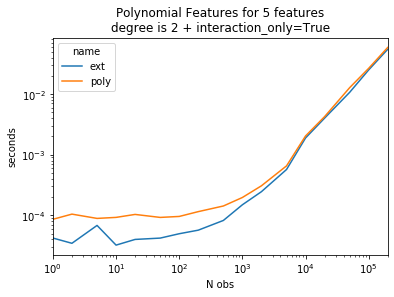 The current implementation of PolynomialFeatures (0.20.2) implements a term by term product for each pair of features where which is not the most efficient way to do it. 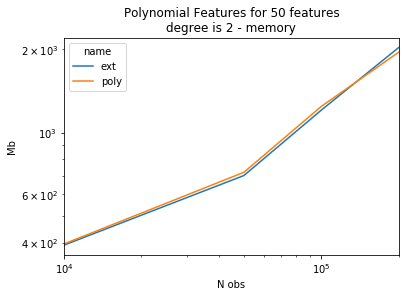 The class ExtendedFeatures implements a different way to compute the polynomial features as it tries to reduce the number of calls to numpy by using broacasted vector multplications. 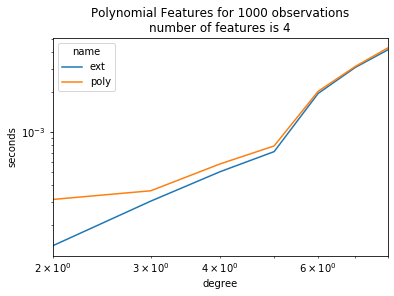 The gain is mostly visible for small dimensions. 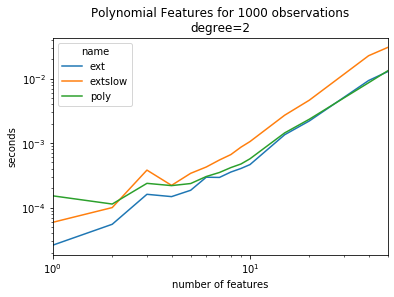 In this experiment, the number of observations is fixed to 1000 but the number of features varies. 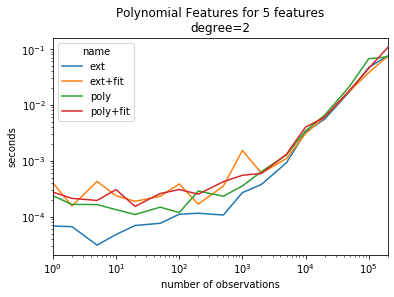 In this experiment, the number of observations and features is fixed, the degree increases.